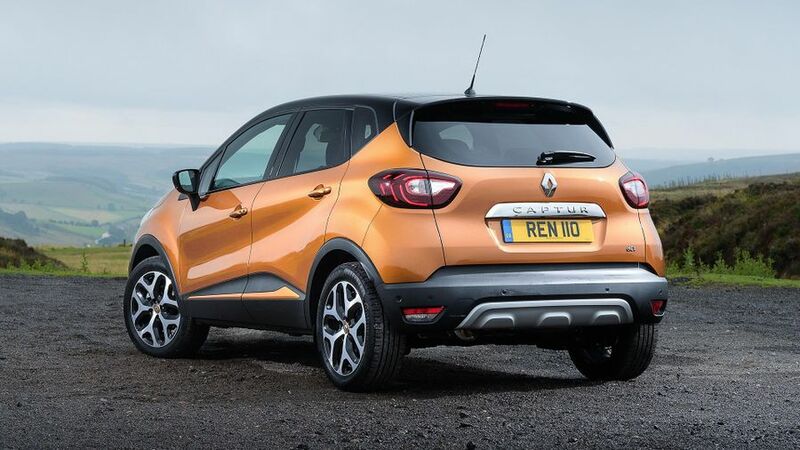 The Captur is our pick of the growing small car SUV market, mixing good looks with comfort and practicality. A mid-life facelift only enhances its appeal further. 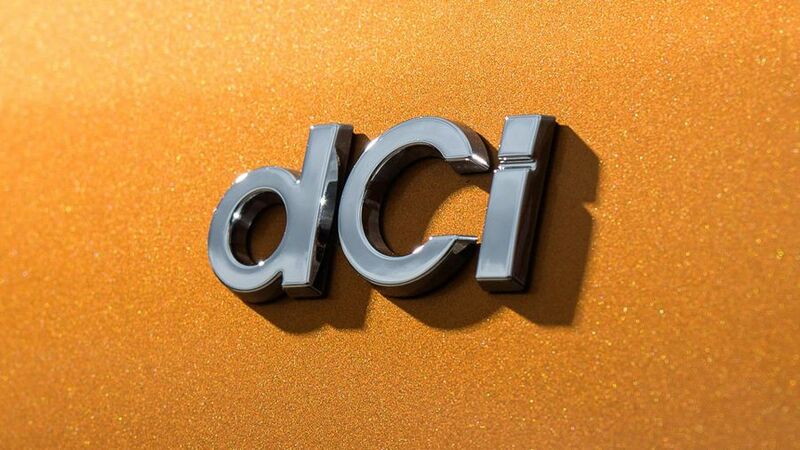 Design is the Captur’s number one selling point, and it’s suitably eye-catching. Cars from mid-2017 onwards have a refreshed look, with trademark C-shaped LED running lights in the bumper, some sleek lines, and bold colour options. All models get alloy wheels and LED running lights front and back, while Dynamique S Nav models upwards get two-tone exterior paint, and rear parking sensors. Signature X Nav cars get front sensors too, and the top-end Signature S Nav sports a chrome grille and various other metallic effect bits on the outside, as well as model-specific metallic paint options. The Captur may be at the more affordable end of the market, but that doesn’t mean the interior is a chore to sit in. Quite the opposite. 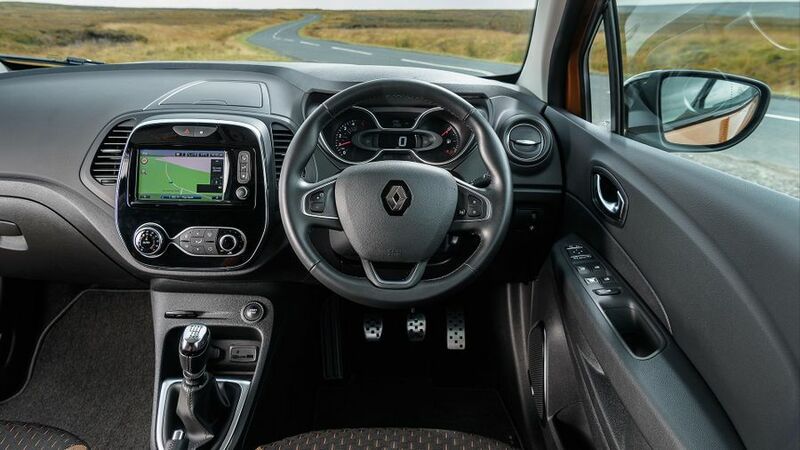 Renault has used the 2017 update to improve the quality of materials, especially around the eye-line, so there are soft touch plastics on the doors and dashboard that elevate it above several rivals. In terms of quality, it’s streets ahead of Vauxhall’s Crossland X. The seating position and steering wheel adjust enough to fit most drivers, although in cars fitted with an armrest, it’s a bit of a faff to get to the seat adjustment controls next to the transmission tunnel. Higher end cars have revised seats over the base-trim Captur, and they should be more than comfortable enough for hours of driving. 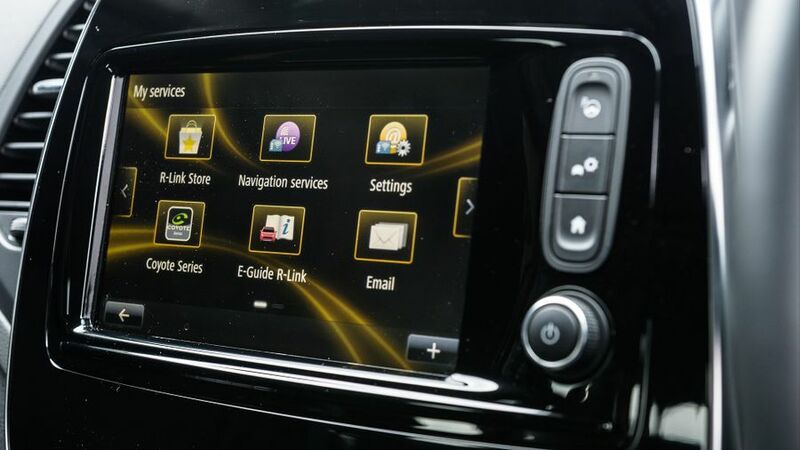 However, the infotainment system is frustrating to use. It’s a touch-screen unit with a painfully slow sat-nav, and it’s all too easy to miss turnings you thought were still some way ahead. A lack of buttons for individual screens makes it a bit of a chore to use, too, especially on the move. 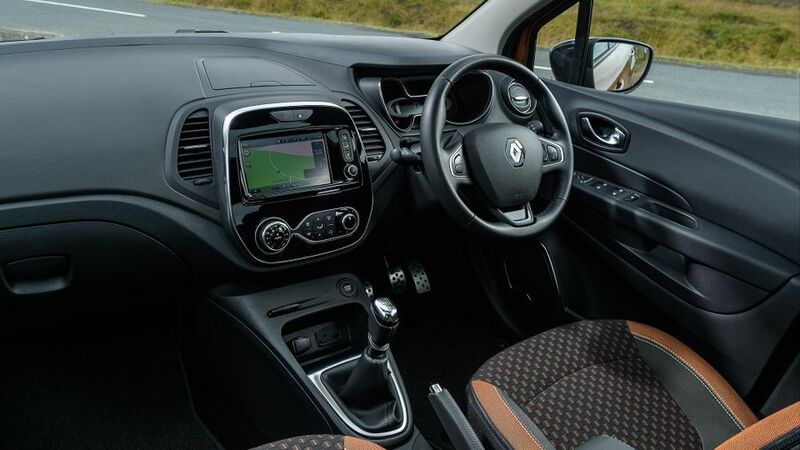 The Captur’s cabin is well thought out, with some really useful features. There’s plenty of head-room in the front, and six-footers should be fine in the rear seats, too, although Vauxhall’s Crossland X offers slightly more head space for the lanky. The rear seats can be moved backwards or forward to prioritise leg- or boot-space, which ranges from 455 to 1235 litres; better than most of its rivals. 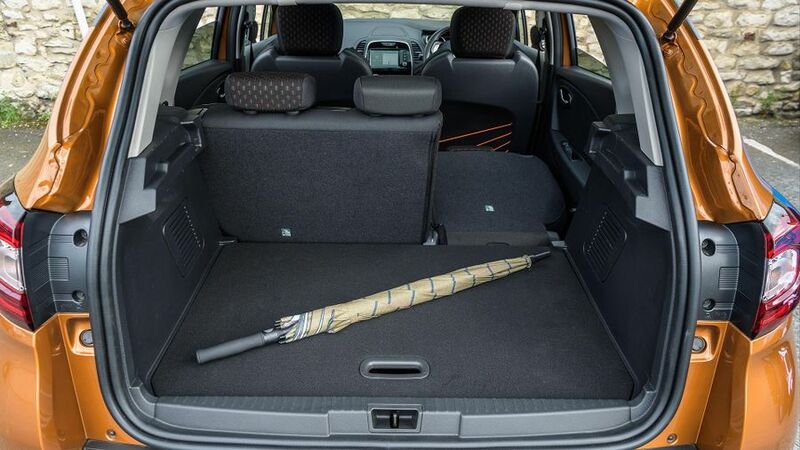 Allcars also have a false floor that completely eliminates any load lip, making it a cinch to lift in heavier items, and the second row of seats folds flat – in a 60:40 split – to cope with larger loads. Renault obviously knows who its typical Captur customers are and has done a good job of balancing the ride comfort to suit city-dwellers. It does a great job of sorting out the typical lumps and bumps that you come across in towns and cities, making it one of the more comfortable cars of its type. Yes, there’s a fair amount of body roll when you’re negotiating faster corners, and the car generally feels a tiny bit sluggish way the car responds when asked to change direction. That’s not helped by the overly light steering, which supplies very little feel, so it’s difficult to know with any real certainty just where the front wheels are pointing. However, most buyers of cars like this would take comfort over agility any day, and that same light steering does pay dividends in town, making it simple to thread the car through congested city traffic, and to nip into tight parking spaces. Two engines are available in the Captur, one petrol and one diesel. So far, we’ve only tried the petrol, which is a turbocharged 0.9-litre three-cylinder that delivers 90 horsepower. If you’re thinking that doesn’t sound like much in a car this size, you’d be right. It feels decidedly underpowered and it’s slow to pile on the revs, and as a result, you need to work it super-hard to make even stately progress. Load the car up with a couple of kids and a boot full of luggage and, all too often, you’ll find yourself sharing the inside lane with the truckers whenever you encounter anything vaguely approaching an incline. Yes, the engine is pretty smooth and quiet, but it does buzz away noisily at motorway speeds due to how hard it has to work, and it’s also accompanied by a fair amount of wind- and road noise. The five-speed manual gearbox doesn’t have the smoothest shift you’ll ever encounter, either, but it’s less notchy and imprecise than in some other Renault products. The 90 horsepower 1.5-litre diesel can be had with either a five-speed manual or a six-speed automatic, but we haven’t yet had a chance to try either. The Captur is priced competitively against other small SUVs like the Vauxhall Crossland X and Nissan Juke, and running costs are not likely to be radically different. 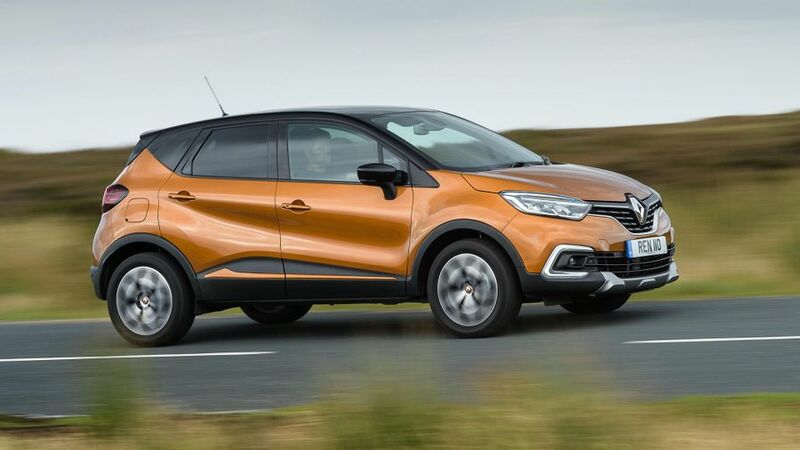 The Captur does well on fuel economy, with the entry-level diesel boasting an official combined economy of almost 70mpg (regardless of which gearbox you specify) and the petrol achieving upwards of 50mpg. Its residual values are reasonable, too, and servicing costs shouldn’t break the bank. 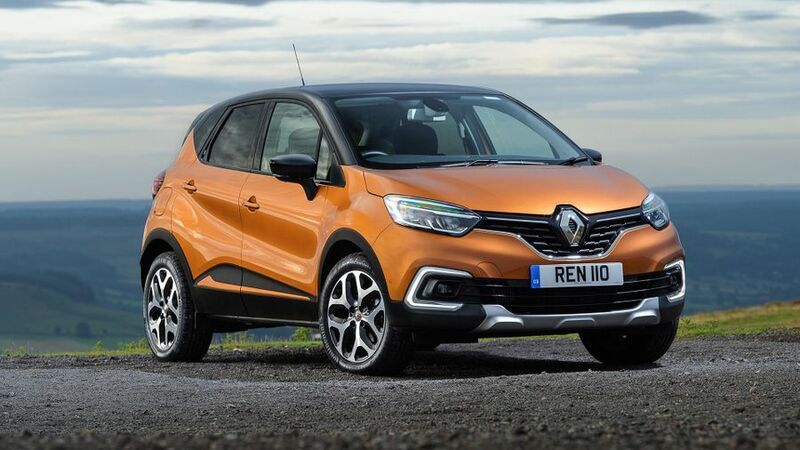 The Captur isn’t listed on Warranty Direct’s Reliability Index, but Renault as a brand performs well, sitting high in the manufacturer rankings. Our owner reviews support that story, with high scores across the board. For peace of mind, Renault offers a middle-of-the-road three-year/60,000-mile warranty. The Captur received the full five stars in crash tests by safety organisation Euro NCAP, albeit back in 2013, when the standards were less stringent. Standard safety equipment across the range is comprehensive, including stability control, traction control, hill start assist, a speed limiter, and six airbags (although family buyers should note the side and curtain airbags do not extend to the rear-seat passengers). It also has three Isofix child seat attachment points (two in the back and one on the front passenger seat). 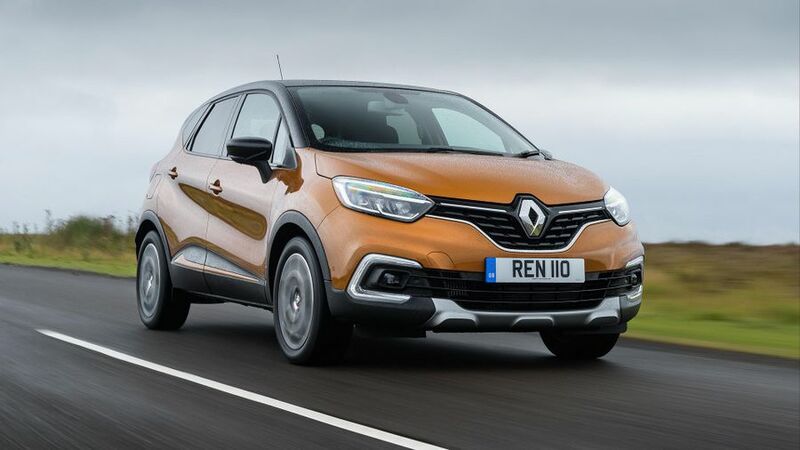 As the Captur was first introduced in 2013, it doesn’t feature some of the more cutting edge technologies available on newer cars, such as autonomous emergency braking. Blind spot assist and a self-parking function are available, but only come on the range-topper. 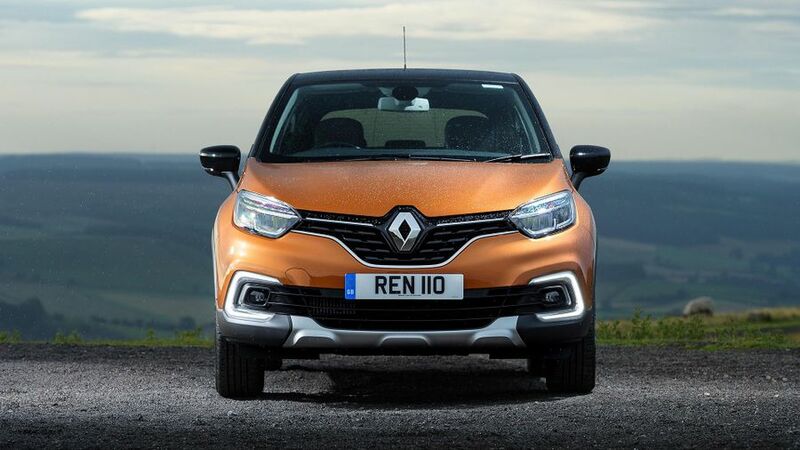 The first rung on the Captur ladder is Play trim, which comes with a very decent slice of standard equipment. This includes alloy wheels, cruise control, air-conditioning, four electric windows, DAB radio, Bluetooth handfree, and smartphone integration (giving you access to phone-based navigation services). Iconic trim upgrades the air-con to climate-control, and adds a leather steering wheel, rear parking sensors, automatic lights and wipers and a 7.0-inch touch-screen infotainment system. That makes it the one we’d recommend. Range-topping GT Line trim has automatic folding mirrors, front parking sensors, a reversing camera, built-in sat-nav, part-leather upholstery, Android Auto and heated front seats. 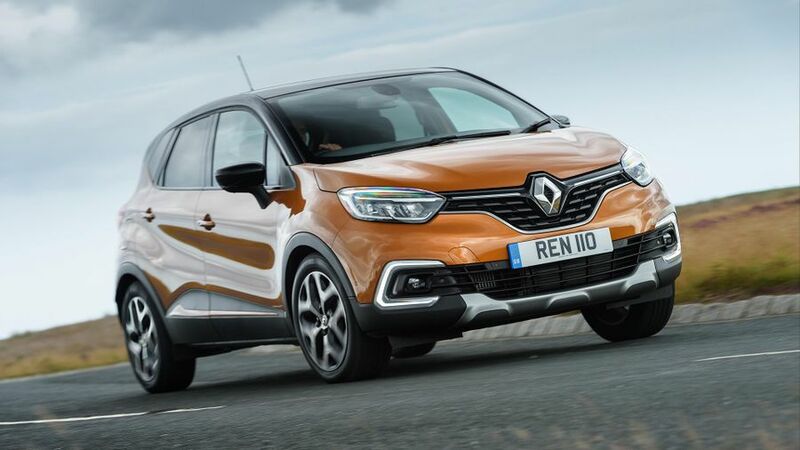 The compact SUV segment is exploding in popularity, and the Captur is our pick of the bunch. It’s great to look at with strong equipment levels and a good quality interior, and it’s decent to drive, too. There’s no area in which it’s found wanting, which explains its popularity.